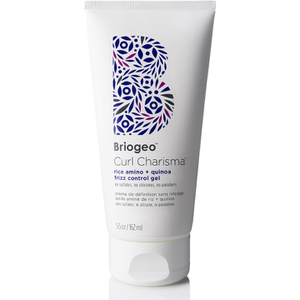 Curl Charisma Rice Amino and Avocado Leave-In Defining Creme hydrates, defines and weather-proofs curls, while maintaining touchable movement and light, flexible hold. Mollis leaf and tomato fruit ferments smooth and seal the hair cuticle to lock out frizz-causing environmental moisture and promote consistent curl formation, while ultra-hydrating avocado oil helps hair retain moisture and increase elasticity to protect against damage. After washing and conditioning, apply 1-2 quarter sized amounts to damp hair evenly from root to tip. Do not rinse.